Cabinet refacing can be done for about 1/3 the cost of a new kitchen. 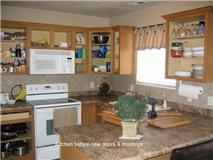 JRT Kitchen and Bath can reface your kitchen cabinets, bathroom cabinets or any other cabinets in your home. 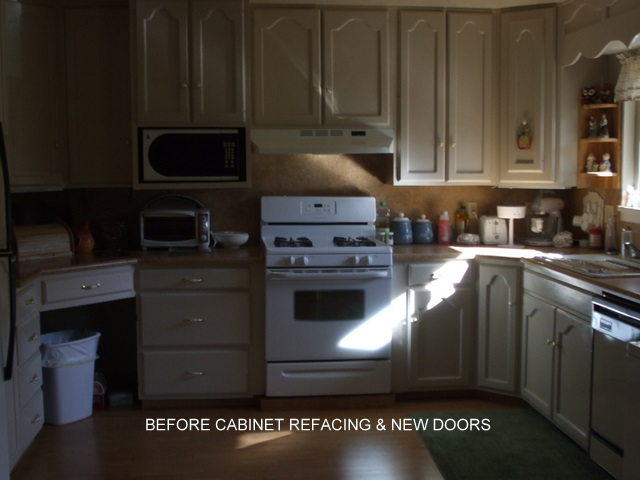 Cabinet refacing is the affordable, hassle-free, efficient way to boost your home's value and get the kitchen or bathroom of your dreams. 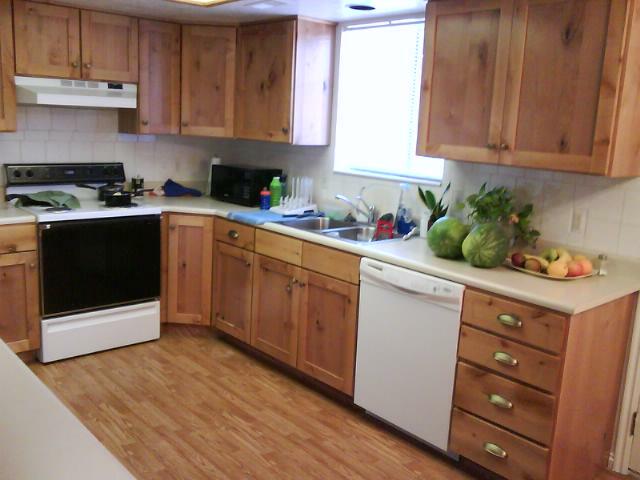 Refaced this yellowed oak kitchen with cherry. 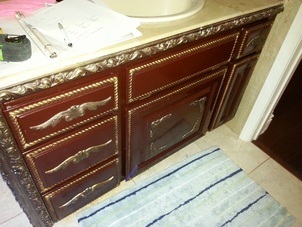 We apply 5/16" solid wood to cabinet fronts and added new doors, drawer fronts and crown molding. This kitchen had several years of different paint colors applied. The decision to update was to reface in select alder with a hand rubbed finish. New raised panel doors, drawer fronts and crown molding were installed. The old cabinet facings were covered with select alder hardwoods. What a difference!!! Although the color remained the same, refacing and adding new Craftsman style doors and crown molding really upgraded this kitchen look. 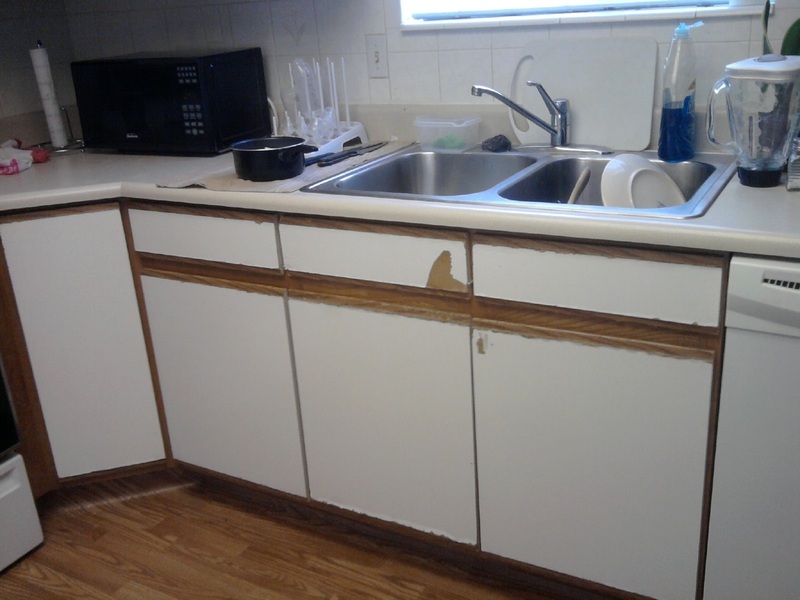 The old kitchen had flat panel doors and drawer fronts and no crown molding. The design was good but just needed updating, so the decision was to reface. 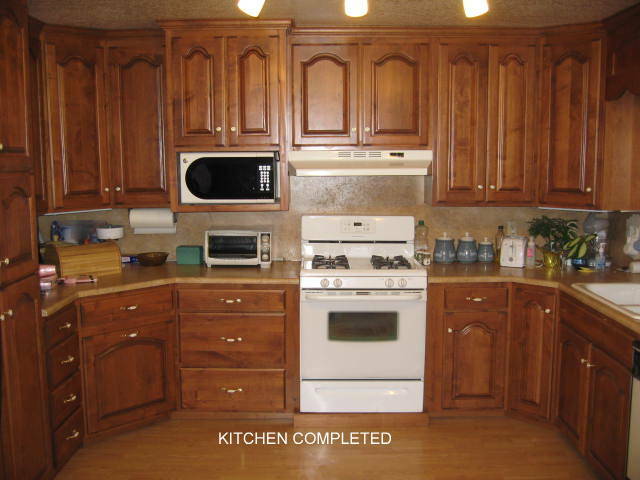 We refaced this kitchen with rustic cherry. Notice how much adding new crown molding makes. 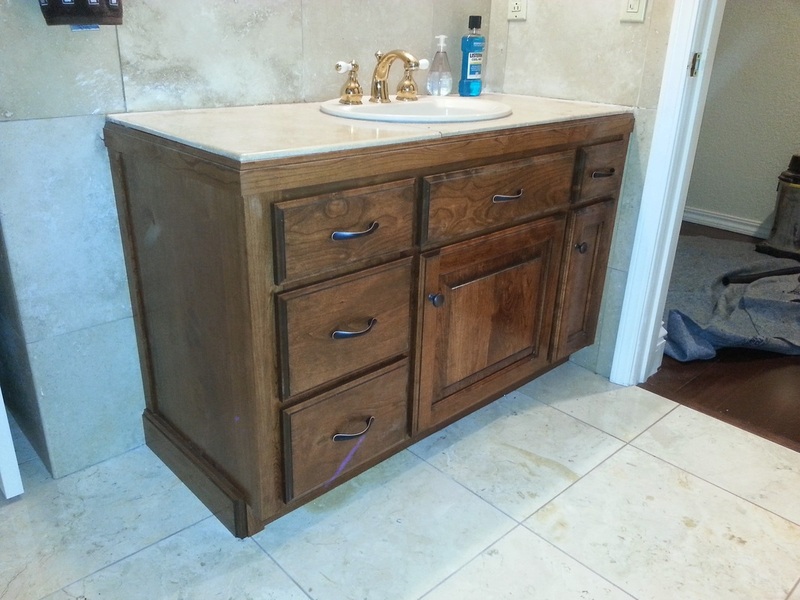 The peninsula had new craftsman style back panels and furniture ends added. We refaced the kitchen in knotty alder with a stain and walnut glaze. Added new raised panel doors, drawer fronts, and furniture end panels. New European hinges,oil rubbed bronze hardware, and 4" crown molding completely changed the look of this kitchen. A deep cabinet was added over the refrigerator for pan storage. 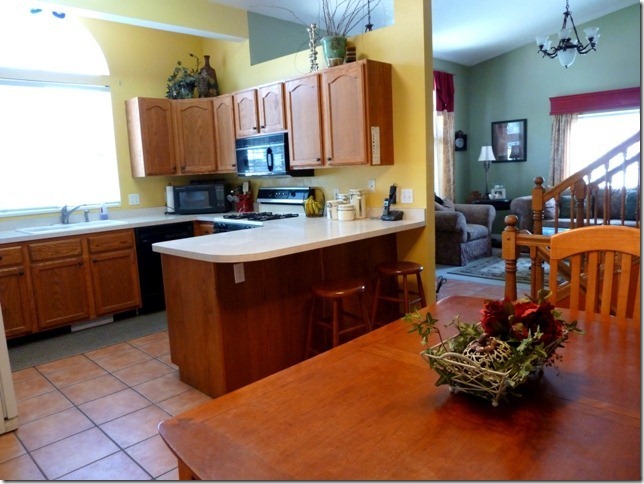 Read more about the remodel in our testimonial section. As you can see these formica cabinets were in dire need of replacing. Parts of the laminate were coming off, and hardware was needed. Looks like a brand new kitchen! 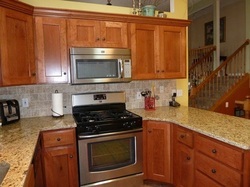 We refaced the cabinet faces and added new shaker style doors and new hardware. 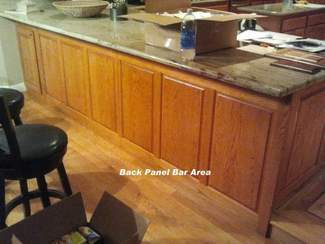 New back panels and furniture base molds were added on the bar area. Re skinned the front and sides, adding new drawer fronts, door and base molding.